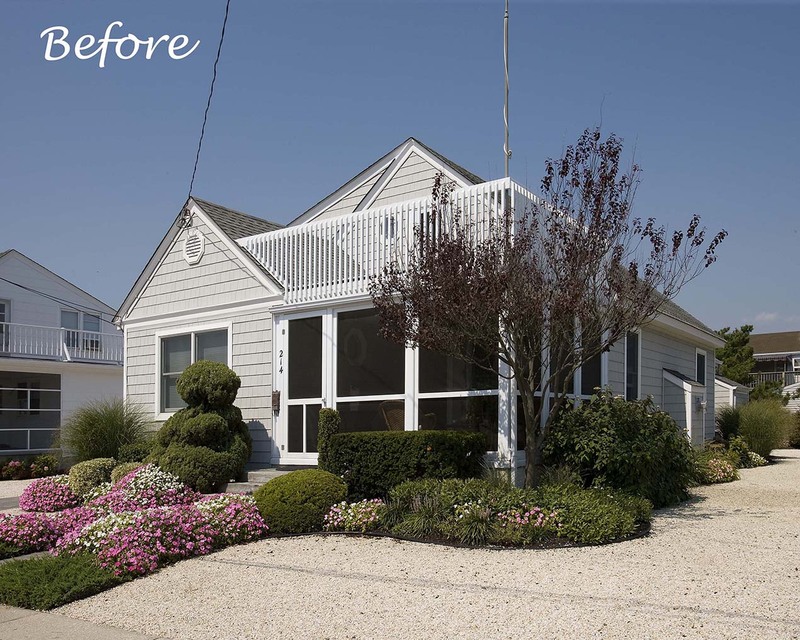 We renovated this 47-year-old shore home to provide more space, updated amenities; also a fresh exterior made it stand out from the other homes in the general neighborhood. 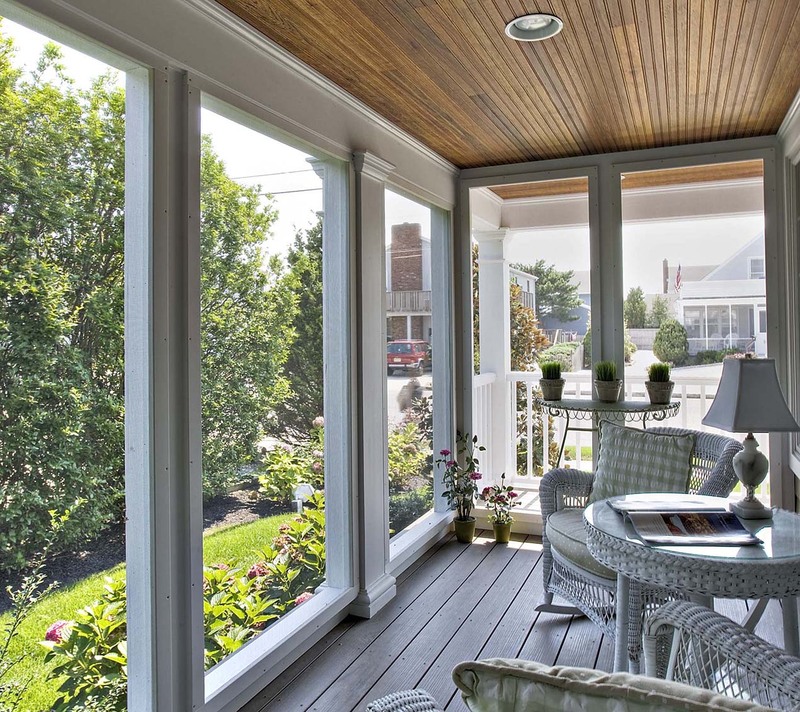 An existing seasonal sun porch at the front of the house was converted to an all-season sunroom. 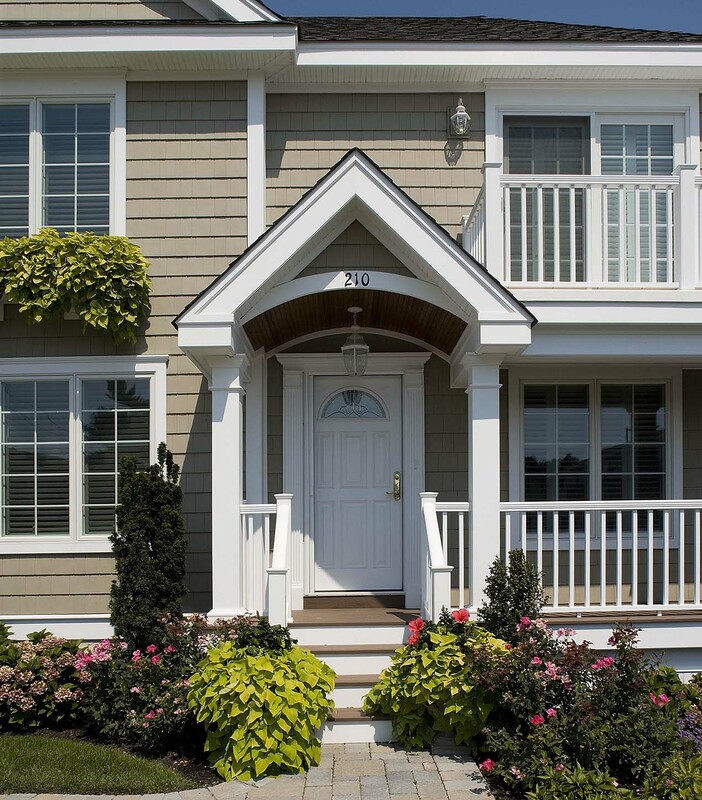 This opens to a brand new wrap-around porch which is partially screened and partially open. 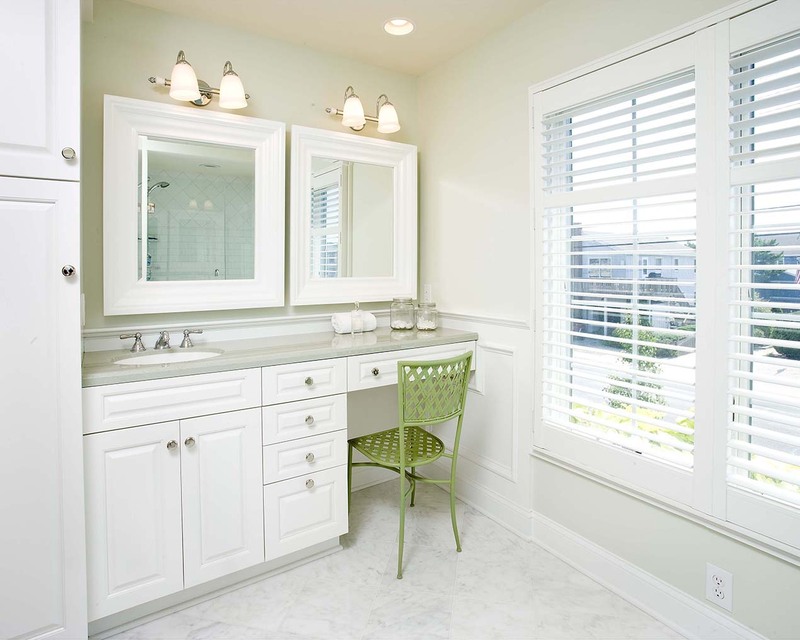 A new master suite was constructed above the porch additions, specifically positioned to capture the ocean view. An upper deck was added to the suite, along with a bath and closets. The renovation, along with the addition of new and updated spaces, transformed this dated ranch-style home into a gorgeous 2-story home with unique styling.